Rick was blessed by the happy accident of finding the retirement industry when he graduated from the University of Texas at Austin with a BBA in Finance. He found it to be such an important and dynamic industry he is still hooked more than 30 years later. He is a fierce advocate of the retirement industry and a firm believer in education. Rick maintains his Qualified Pension Administrator (QPA) and Certified Pension Consultant (CPC) designations with the American Society of Pension Professionals and Actuaries as well as his Chartered Retired Plans Specialist (CRPS) designation with FINRA. As a former Accredited Investment Fiduciary Auditor and former owner of his own TPA shop, he has a passion for getting things right – right for the Employer and right for the Participant. He knows that most plans fail due to poor plan design or employee education. Rick works at Alliance Benefit Group managing the sales team and working with the management team on a strategic basis to meet the ever-changing regulatory and legislative requirements. Rick has worked for a mutual fund company and two recordkeepers, so he knows all sides of the business. As the vice president of sales and marketing, Scott Dozier is dedicated to developing new relationships and business to increase retirement plan market share in Houston and the surrounding areas. Scott has worked in finances and retirement for the past fifteen years as a retirement plan consultant, financial advisor, financial planner, and financial analyst. In those roles, he provided retirement plan technical consultancy, investment advisory, and large bank, commodity, and oil and gas transactions oversight. He says the need for such advice is great; many business owners and plan sponsors have a knowledge gap that requires in-depth consulting with administrators such as ABG. He hopes his work, always done in integrity and with the idea that people and businesses should be treated as one wishes to be treated, will provide the care and education needed so that people can make informed decisions and rest easy with their retirement plans. He has a BBA from the University of Houston. Dan Hyatt believes in doing business the right way or not at all. He has been a retirement plan sales consultant and a sales representative in both the retirement plan and insurance industries for 10+ years. In his current role as a vice president of sales and marketing, he is committed to creating customized solutions for employers and helping them assist their employees to reach their retirement goals. He has been instrumental in creating 401K/403B, Simple, SEP, Defined Benefit and Defined Contribution plans and finds the entire retirement plan industry fascinating. 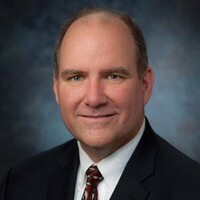 In fact, he says he is a “retirement plan geek.” He has a Bachelor’s degree from Southern Methodist University and an Executive MBA from University of Texas San Antonio. Dan is an avid fan of Broadway shows and enjoys sharing his free time with his friends and family. He is also accomplished at shooting sport clays. He enjoys eating at Grey Moss Inn or Silo in San Antonio.